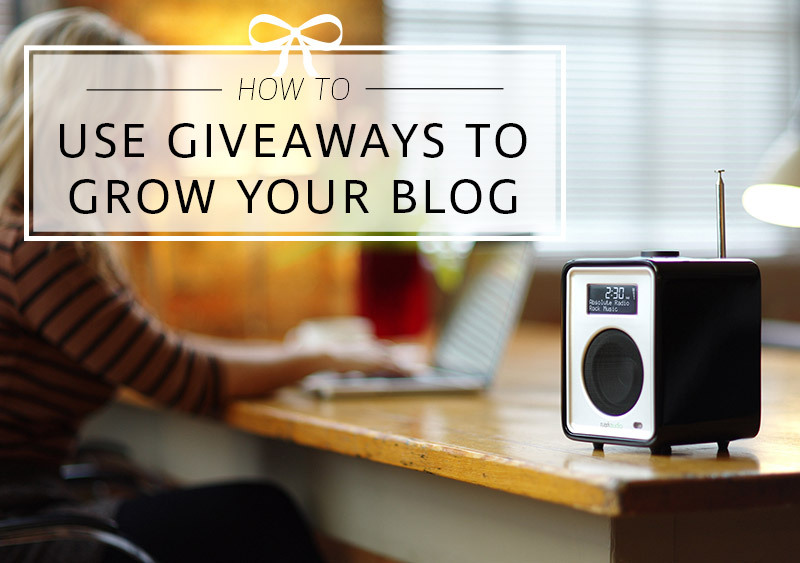 Giveaways are an amazing way to give back to your audience for being part of your blog, as well as growing your email list, building your audience, increasing followers on social media. There are many tools, Gleam or Kingsumo for example are easy-to-use options to run the giveaway and have viral aspects like refer-a-friend which can help expand your audience too. Too often though giveaways are blindly run, without a real plan, and can often lose their effectiveness as a tactic in the blogger’s arsenal to grow their blog and their audience. How to run a giveaway? 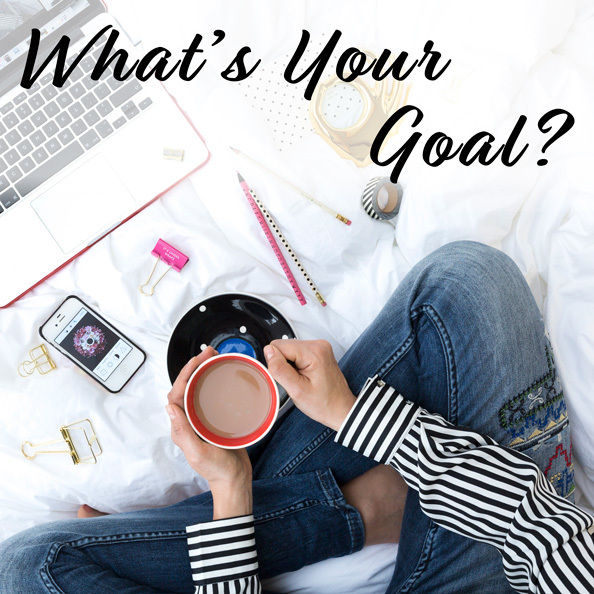 Your goal is very important, and without knowing it, you can make or break your giveaway if you don’t set one. You need to answer the question of what are you looking to gain from running this giveaway? You might want more email subscribers, more Facebook fans, more Instagram followers or more comments on your blog. Once you’ve decided what you want to focus on, try setting a numerical target for it. For example, I want to grow my email list by 500 subscribers. Setting an exact number will really push you to achieve it – being too generic (like just having “I want to grow my email list”) you won’t push the promotion of it as much as you might if you have a clearer target in mind. The prize is probably the most important part of the giveaway. It is going to be what attracts visitors to your site and encourage them to enter. 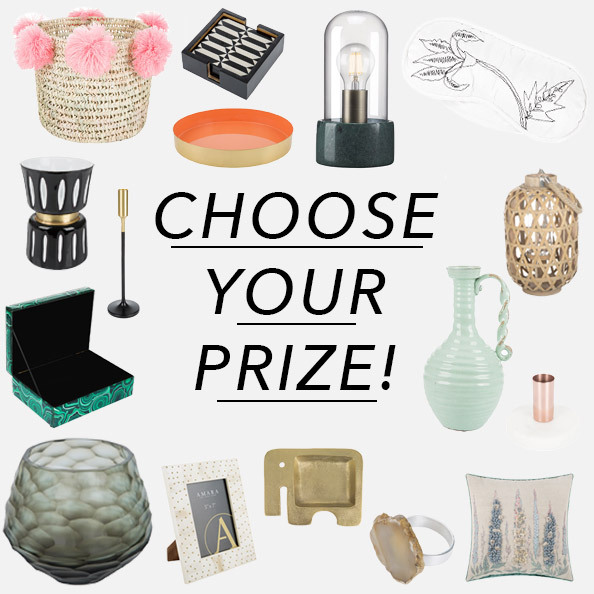 Your prize needs to reflect both your blog, your readers and your potential target readers. It needs to be a prize that they want to want and not a generic prize that everyone wants to win. It doesn’t need to be an expensive prize, although the higher the value the more enticing the giveaway usually is. For example, if you run a blog about home fragrance, giving away a scented candle would be a fantastic prize as you will get people entering who want to win a candle. However, if you offered a prize of an iPad, whilst you might get a lot more entries the vast majority of them will not be interested in your content so aren’t worth targeting. Think about products that you personally love and think that your readers would also love! Once you have a prize in mind that you want, now you need to obtain the prize. One of the best ways to source a prize for your giveaway is to email brands themselves if they would like to donate the prize or run a partnered giveaway. Most brands jump at the chance to work with bloggers of all size if it only costs them the cost of a sending out a product to the winner. Sometimes you will have to show them the benefit of working with you, where you can show them other partnerships you may have done and the results of those. The other option would be to buy the prize yourself with your own money – whilst this seems daunting you will probably only have to do it once and it doesn’t need to be for a lot of money. You should see it as an advertising expense that will be very worth the investment in the long run. This should be guided by your goal – and the best thing is to keep it really focused. If you want to get new email subscribers then this entry method should be your first (or only) method of entry. Tools such as Gleam and Kingsumo can give more entries to different entry methods. Kingsumo leads with the email sign up and then you can add other methods such as referring friends (great for virality) or social sharing, following your social channels and many more. We’ve guided you towards Gleam & Kingsumo throughout this post as both offer free (or very cheap) tools to run your giveaways. You can sign up and be set up in minutes (but we advise you take your time to get it just right). We won’t show you how to set up the giveaway on those tools in this post, they have their own awesome guides (and it’s super-easy). So now you’ve got your goal, sourced your prize, set up the giveaway it’s time to promote your giveaway like your life depends on it. Your Current Email List – This should be your first port of call. Whilst giveaways can help grow your blog, they are also great at making your existing readers feel involved within your blog. Also, if you have a refer-a-friend entry method your email list can end up referring some great future subscribers to your blog. Your Social Channels – Promote. Promote. Promote! Across all of your social channels, Twitter, Facebook, Instagram, Pinterest, YouTube, whatever you are on should show a link to your giveaway. Don’t just mention it once, mention it regularly for the duration of your giveaway – particularly in the last few days & hours as the urgency towards the end of giveaways can really spike the number of entries you get. Paid Social Ads – If you have a spare cash to promote your giveaway this can be huge at driving new entries who also then refer their friends to really drive the virality of your giveaway. Partnered Brands – If you have partnered with brands or had prizes donated by them, make sure you ask them to share it as much as possible with their audience – their email list, their social channels, etc. This can really drive a lot more entries. Your Blogging Friends – Any blogging friends you have, reach out to them and ask them to share your giveaway. Do something reciprocal to help them (maybe share some of their recent blog posts) – most bloggers are more than happy to help out their blogging friends. Giveaway Link Ups – Spread wide and across the web, giveaway link-ups can get you some more entries quickly as they can often be very frequented locations. These may be seen as ‘serial compers’ but if your prize is specific for your content – you’ll still be picking up some valuable subscribers. 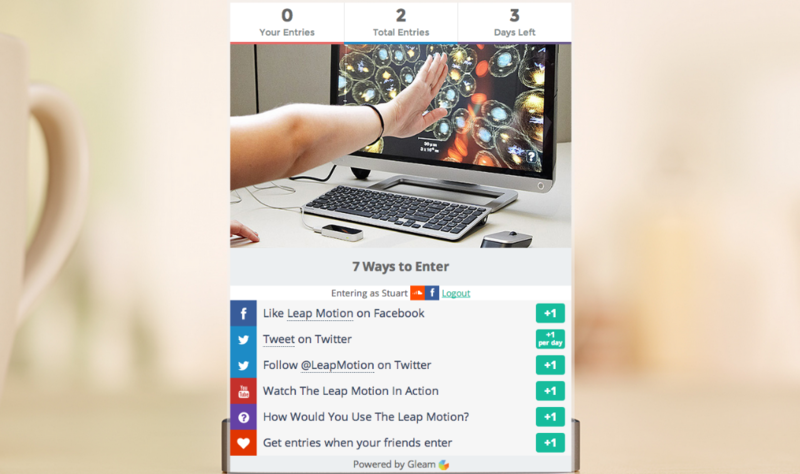 Once your giveaway is over, most tools will help you automatically pick a winner. Once you’ve picked the winner, reach out to them and get their address to send them the prize. If you have partnered with a company they will often send the prize directly to the winner so you don’t have to worry about the postage. How did you do? Look back over the giveaway and see how well you think it went, was it worth the effort, what did you get? Most importantly, did you reach your goal? And if not, why? Always review your campaigns to see what you can do better next time to maximise your results from your next giveaway.